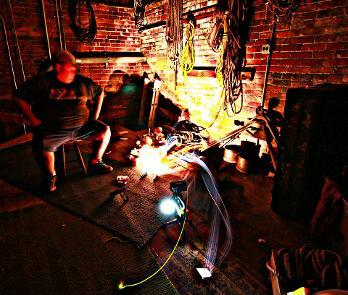 Travel Channel's new Paranormal TV Show (Portals to Hell). 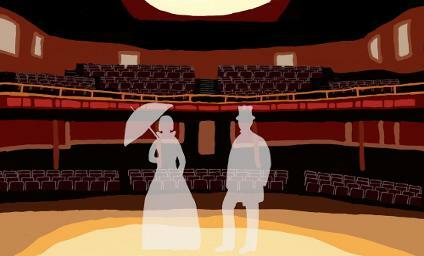 The Twin City Opera House still has plenty of mysteries left to unravel. Perhaps you will encounter Everett Miller the usher there for 30 years who still watches over the opera house and has been contacted and seen numerous times during investigations. 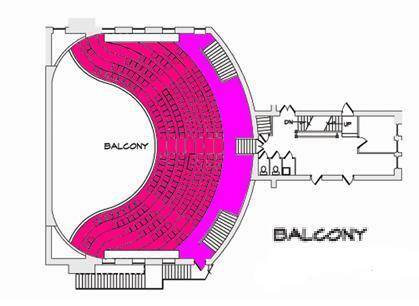 Quite possibly you will run into 10 year old Elizabeth peeking from the catwalk or hear her giggling. Then there is Red Wine Robert who enjoys interacting with paranormal investigators by answering questions through EMF devices and he has also been heard on EVP's stating that "I've got Red Wine". 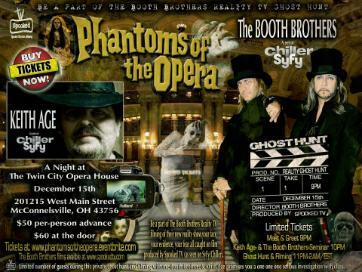 Perhaps the spirit of John Leezer who was fatally stabbed in the ballroom in the early 1900's will make an appearance. For those looking for a darker encounter, the Dark Shadow Masses that lurk deep in the basement near the blocked off tunnels that once ran under the town. These Black Masses have been observed by dozens of people and will occasionally growl or drastically drop the temperature for those who get too near. You may even see the Shadow Man who we believe is the Old Town Marshal Horace Porter coming in through the alley door on his nightly foot beat of the town. His duty ended on September 7th, 1905 just outside the Opera House's East side alley door when a town mental snuck up behind him shooting the Marshal 4 times in the back. 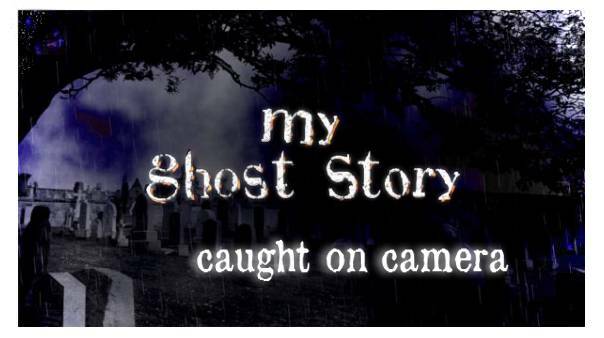 One Black Mass was captured on 2 different DVR cameras on June 6th, 2009. 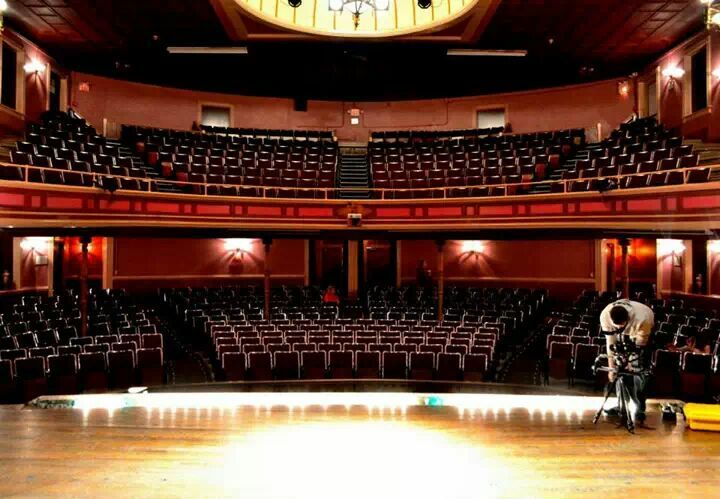 Over 1000 EVP's have been captured from the Opera House. Every part of this historic building has paranormal activity and has been titled one of the most haunted buildings in Ohio. 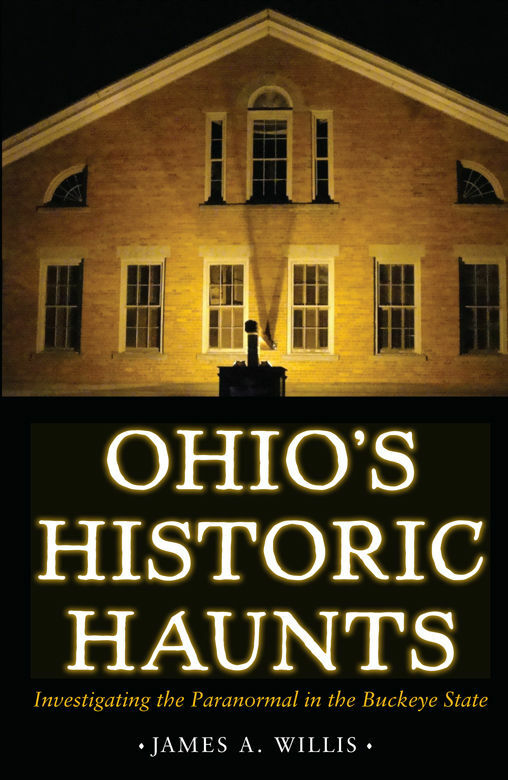 The Twin City Opera House has appeared on A&E Bio Channel's My Ghost Story, the SyFy Chiller Channel's Phantoms of the Opera and in Kent State University's Book, Ohio's Historic Haunts by James Willis. It also appeared on Season 2, Episode 4 Behind the Shadows Internet Television Show. 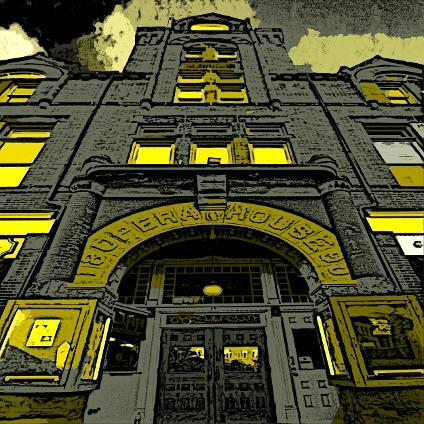 Eric Glosser & Brendan Shay My Ghost Story Twin City Opera House from Eric Glosser on Vimeo. 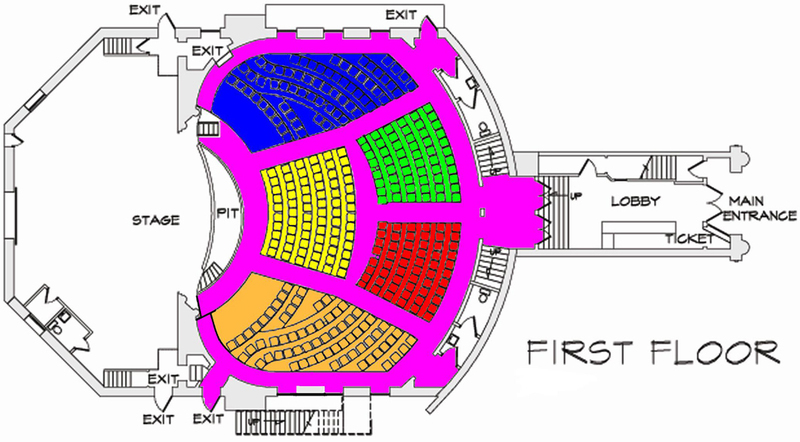 ANYONE ENTERING THE OPERA HOUSE UNDER THE INFLUENCE OR ALCOHOL AND/OR DRUGS WILL BE REQUIRED TO LEAVE THE PREMISES. THEY WILL NOT RECEIVE ANY REIMBURSEMENTS OR REFUNDS FOR ANY MONEY PAID. THIS IS YOUR RESPONSIBILITY TO BE ALCOHOL AND/OR DRUG FREE WHEN ENTERING THE TWIN CITY OPERA HOUSE. 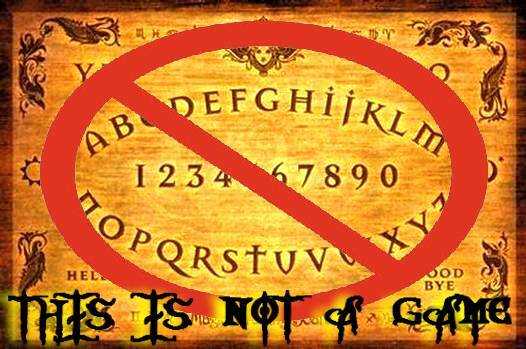 THIS RULE WILL STRONGLY BE ENFORCED!!! 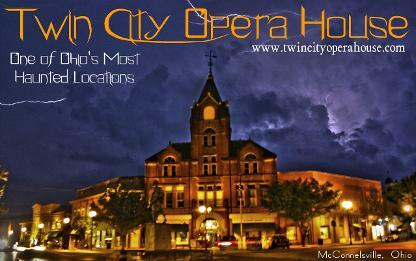 in the Twin City Opera House !